Maddie's Fund® today announced the final number of adoptions made at their 2014 Maddie's® Pet Adoption Days event. An unparalleled 16,665 dogs and cats found homes during the nation's largest free pet adoption event, sponsored by Maddie's Fund. This represents a 98% increase over last year's 8,432 adoptions for this two-day event. Maddie's Fund originally set aside $10 million to underwrite the adoptions managed by participating organizations this year, however, the total donation awarded to groups for qualifying adoptions this year was actually $13.3 million. In its fifth year, Maddie's® Pet Adoption Days spanned 591 cities in nine states across the U.S. More than 200 shelters and rescue groups worked enthusiastically over the two days to give homeless pets a second chance. Communities throughout the country were buzzing with adoption events, and many locations had people lined up hours before their doors opened. "We've made lifesaving history!" said Maddie's Fund president Rich Avanzino. 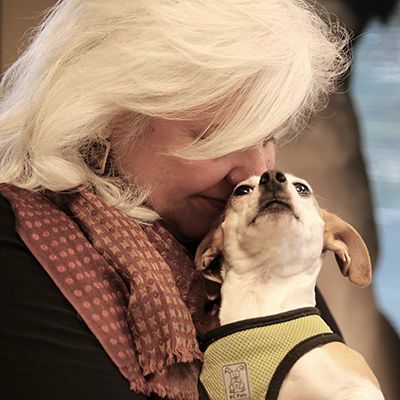 "We are so honored to partner with all of the shelters, rescue groups and adopters who were there for homeless animals when they most needed help. This dedication to shelter pets is inspiring. For me, they are the true heroes." Inspired by one family's love for a Miniature Schnauzer, Maddie's® Pet Adoption Days has found homes for more than 30,000 homeless dogs and cats since 2010. For each pet adopted, Maddie's Fund gives participating shelters from $500 to $2,000 to cover the true costs of those adoptions. This funding enables shelters and rescue groups to save and treat more animals throughout the year with a total of $24.7 million in funding going to these groups over the past five years. "It's an incredible feeling when you see entire communities come together to find shelter pets families of their own. Watching people fall in love with those pets, the shelter pets going home with their new families, and seeing the staff and volunteers celebrating... it's overwhelming. Cheryl and I see the spirit of Maddie at every adoption location we visit," said Maddie's Fund founder Dave Duffield. "This event demonstrates that we are all, collaboratively, making the world a better place. And there's nothing better than being part of that." Maddie was a beloved four-legged family member of Dave Duffield, founder of Workday® and PeopleSoft, and his wife, Cheryl. For the last five years, Maddie's Fund, their family foundation, has sponsored Maddie's® Pet Adoption Days to honor her memory. Follow us on Facebook, Twitter, Pinterest and Instagram. Maddie's Fund® is a family foundation created in 1994 by Workday® co-founder Dave Duffield and his wife, Cheryl, who have endowed the Foundation with more than $300 million. Since then, the Foundation has awarded more than $225.7 million in grants toward increased community lifesaving, shelter medicine education, and pet adoptions across the U.S. The Duffields named Maddie's Fund after their Miniature Schnauzer Maddie, who always made them laugh and gave them much joy. Maddie was with Dave and Cheryl from 1987 - 1997 and continues to inspire them today. Maddie's Fund is the fulfillment of a promise to an inspirational dog, investing its resources to create a no-kill nation where every dog and cat is guaranteed a healthy home or habitat. #ThanksToMaddie.